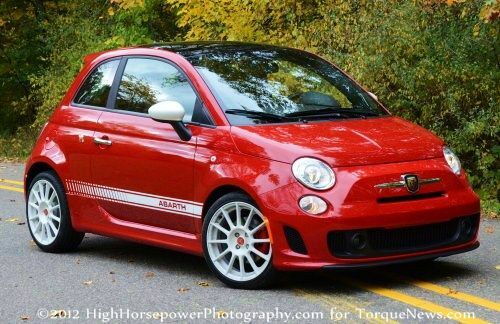 The Animal Aid Foundation, a charity based in the Metro Detroit area, is currently running a raffle with the winner getting their choice of either $20,000 cash or a 2013 Fiat 500 Abarth – offering everyone a chance to win this incredible little sports car while contributing to a great cause. The folks at the Animal Aid Foundation announced today that they are holding a raffle for a 2013 Fiat 500 Abarth with the proceeds of the event going to support the various animal charities that benefit from the work done by AAF. Best of all, unlike some “win a car” raffles that have uber expensive tickets that are $50-100 dollars – the Animal Aid Foundation raffle for the 2013 Fiat 500 Abarth costs just $20 per ticket. On the off chance that the winner might not want the 2013 Fiat 500 Abarth, there is the option of a $20,000 cash prize but having driven the 500 Abarth in a variety of tracks and on the open road – I can attest that this is the most exciting compact car available in the US today. The beauty of the Fiat 500 Abarth is that like many compact cars on the market, the 500 Abarth offers incredible fuel economy (28 miles per gallon around town, 34 on the highway) while 160 horsepower and 170lb-ft of torque makes this tiny car a total blast to drive – all wrapped up in a sleek European hatchback with the level of quality throughout the interior that you would expect from an Italian sports car. Truth be told, the Fiat 500 Abarth is one of my favorite cars sold in the US right now – and I have driven the majority of sporty models available right now. "Last year's Animal Aid Foundation Raffle for Rescue was a tremendous success that allowed us to donate over $7,000 to like minded animal rescue organizations,” said Aaron Bambach, Director of the Animal Aid Foundation. “This year should be even better, thanks to our incredible volunteer network who roll up their sleeves each day to save lives." The winner of last year’s AAF vehicle raffle opted for the $20,000 cash payout rather than the Dodge Challenger offered up as the prize. The Animal Aid Foundation is based out of Sterling Heights Michigan. You can visit the Animal Aid website by clicking here and to purchase the Fiat 500 Abarth raffle tickets, click “Your Donation Helps” and then “events”. The winning ticket will be chosen randomly on August 16th 2013 and the winner does not need to be present to win. This means that no matter where you are in the country, you can purchase a $20 chance to win your choice of the 2013 Fiat 500 Abarth or 20 grand in cold, hard cash. For those who are unfamiliar with the Animal Aid Foundation, it is a non-profit organization whose mission is to financially support local animal rescue organization's as well as place lost, abandoned or unwanted animals into forever homes for a second chance at being a part of a family. In short, the AAF helps find homes for animals in need while also providing support to other charities that provide similar services. If you love animals and want to support a great animal charity while also taking a shot at winning an incredible compact sports car – head over to the Animal Aid Foundation website right now by clicking here and purchase your chance to win the 2013 Fiat 500 Abarth!